Notes The Marder III was an improvised tank destroyer in same mould as the Marder II. 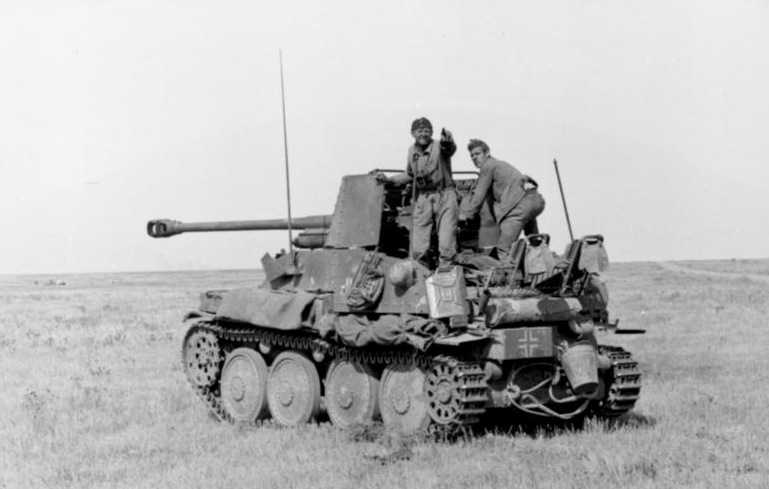 The Marder III was based on the chassis of the Czech 38(t) Ausf G tank, which by 1942 had become obsolete as a battle tank. It was armed with a captured Russian 76.2mm F-22 field gun which was re-cambered to fire German 75mm rounds. The turret was removed and replaced by a fighting compartment which housed the gun and gun shield and this resulted in a high silhouette. The engine power was increased to accommodate the weight. The Marder III served in Russia and North Africa.